Over the past weekend my husband and I snuck off to Charleston for some much needed time away. Living within a short drive of the charming city is a blessing and we consider ourselves spoiled to travel there as often as we do. Unlike the Northeastern parts of our country, Charleston experienced usual Spring-like weather with temps reaching 78 degrees on Saturday. It was exactly what this self-proclaimed “three-season-kind-of-girl” needed. If you love history and beautiful architecture, and have never visited the hauntingly gorgeous city I highly recommend adding a trip to the very tip top of your list. Last year we traveled to Charleston nine times within a four month period. I’m not sure how that happened, but with each visit we make a conscious effort to experience something new. 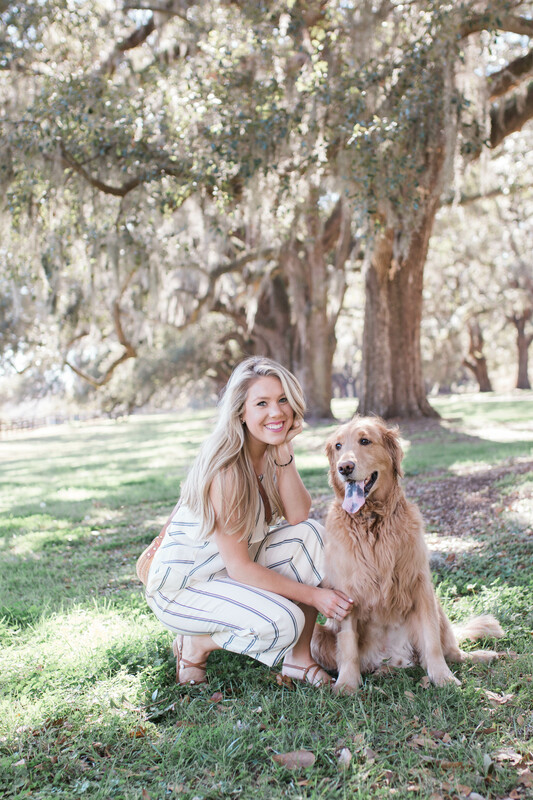 Over the past weekend we visited Boone Hall Plantation for the first time and had a picnic in the grass under the large Oak tress lining the plantations entrance. 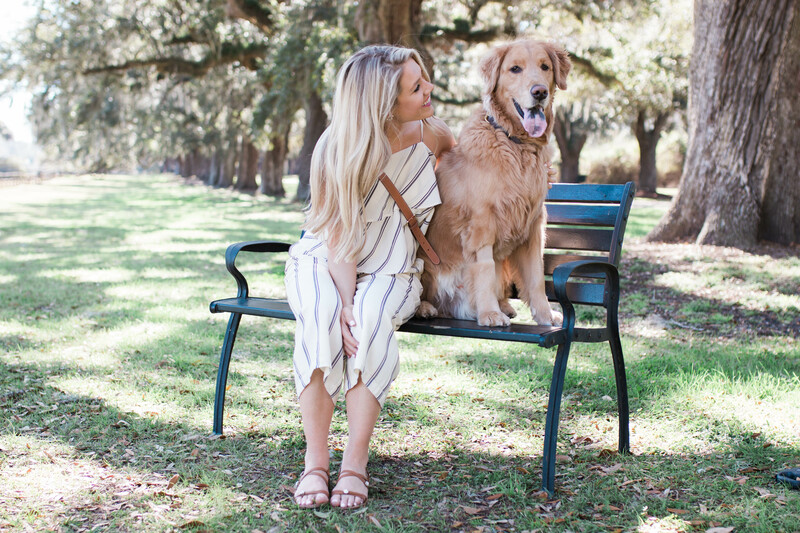 It’s a pre-friendly property, like most of Charleston, so we brought our golden, Tucker, along for the afternoon. Growing up visiting Charleston I’m familiar with so much about the city and its history – everything from must see attractions to the best local dives and how to dress for the various occasions; therefore, I’ve decided to do a thorough guide of the city within the coming weeks. We have several weddings there this summer, so I feel it will be easy to reference the guide in future posts’ and make updates as we uncover more of Charleston and the different areas surrounding the city. If there is anything specific you would be interested in knowing, please send me an email or share your questions in the comments below! 🙂 I’d love your input in creating a guide that’s informative and helpful for both seasoned and first time visitors. 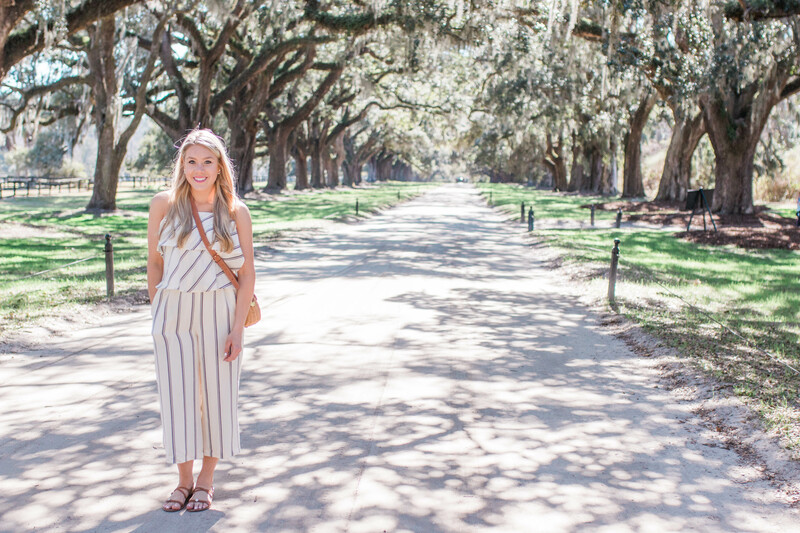 For our afternoon at Boone Hall Plantation, I wore a sleeveless pant jumpsuit (here) to keep me warm while under the oak trees and cool in the warm sun. The ruffle detailing was perfect for Charleston and added a feminine flair to an otherwise boxy cut. If you’re looking for something more fitted, consider this jumpsuit from J.Crew. 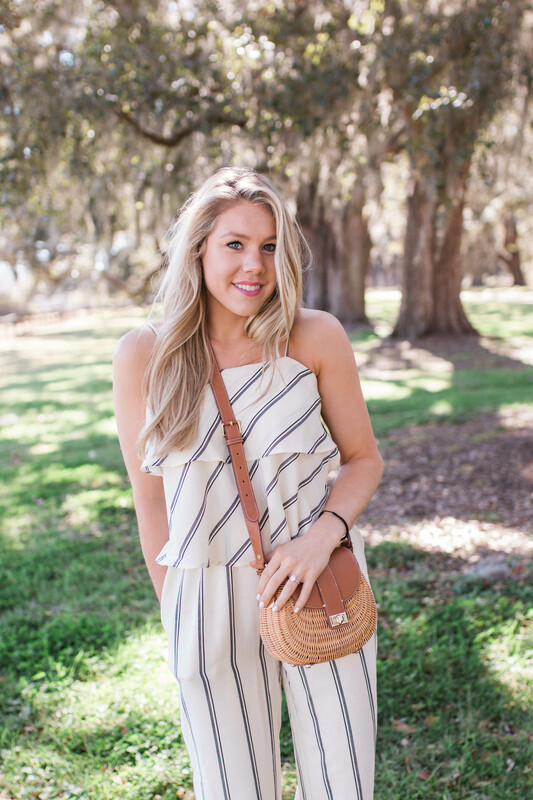 Similar to a dress, jumpsuits are comfortable and also easy to style and accessorize. To keep things simple, I opted for a pair of neutral sandals that I purchased while on our honeymoon in Antigua (featured here and here). I also own these Joie sandals, which are similar in fit, style and comfort. The neutral hue pairs well with literally everything. 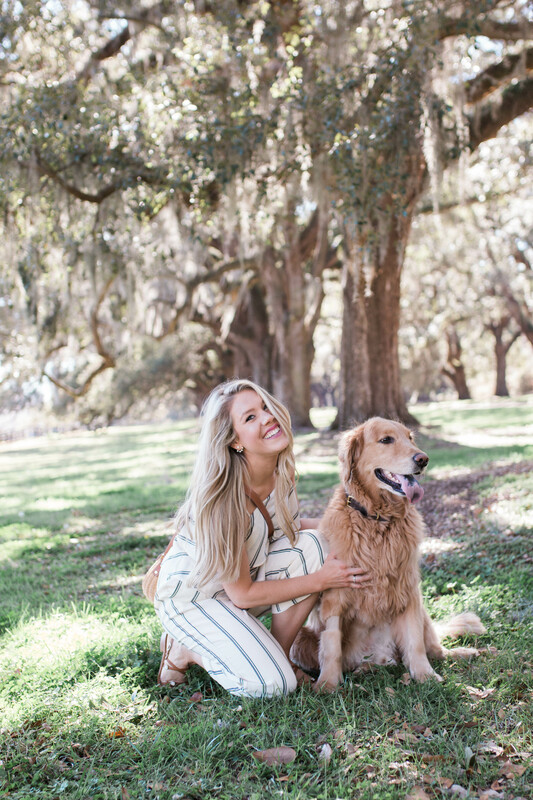 I hope you all are having a wonderful week, and please don’t forget to share any questions you have regarding my ‘Charleston City Guide’ in the comments below.